Biggest DealSale app beauty find. Remember my first digital-speech New in via DealSale App about the mobile application and several good finds I got from there? 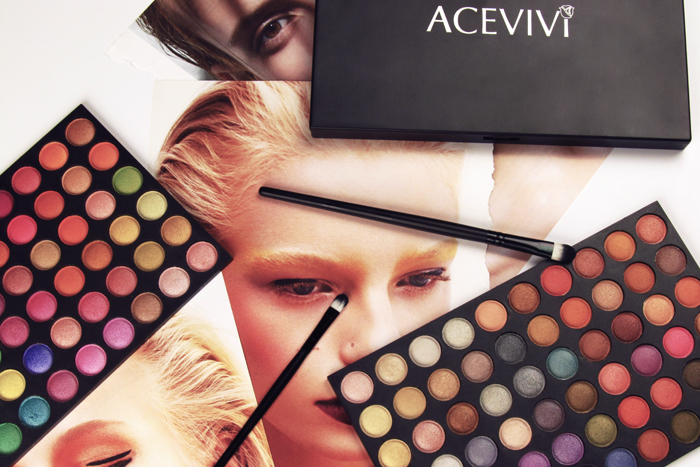 Here is the last one - ACEVIVI eyeshadow set. The set that consists of 120 different shades. 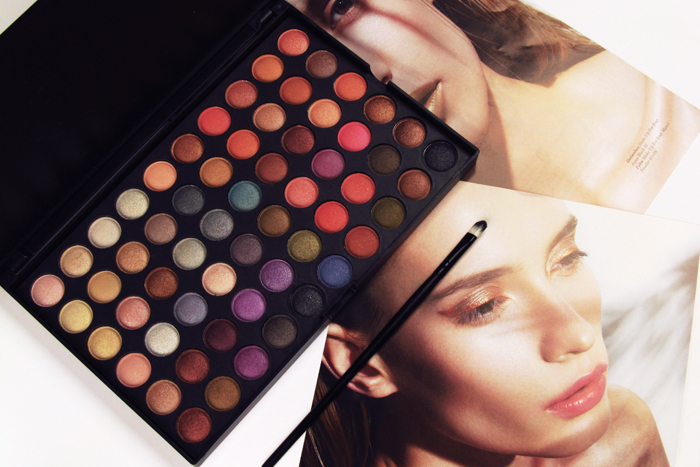 Am going to be honest with you, it's a real eyeshadow paradise. Here you have like million of neutral colors - beige, brown, grey and black - plus a lot of pale and bright shadows of orange, yellow, green, purple, blue and pink. Did my make-up routine get any easier? No way. It's just more diverse, but not easier. I mean with this set it's all about mixing and matching different shades and colors together. And every single time I do get lost in this colorful abundance. Even though I personally decided to put bright and quite colorful tones aside for around Summer season, I believe they can go really good during these festive days. Celebrations are always about joy, lots of fun and vivid colors, don't you agree? This particular ACEVIVI set has a shimmer effect that in my opinion can add playful vibes to one's appearance, though in case with black and dark grey you can also achieve a slightly dramatic result (which is not bad or frightening). If you tracked some of my recent outfit publications, especially from MBFW Russia and RFW, then you've seen these eyeshadows in action. So, let's say 'YAY' to ACEVIVI and head to DealSale application for some festive shopping spree?